If you are living near Minnetonka in Minnesota, consider yourself lucky because there should be at least one Minnetonka boot camp near your area that promises a better total body workout than any other fitness center or gym. Whether you need to improve your agility or slim down to get that dream figure, you can enroll in a boot camp so you can experience something that is totally different and surprisingly more effective in burning calories and extra fat. Boot camps have something that fitness gyms lack and that is discipline. There are boot camp trainers that are there to help you understand the importance of losing weight and the exact things you need to do in order to do that. They even help you fix your diet problems by supplying you with free meals so you won’t eat the wrong foods. Once you get started in a Minnetonka boot camp, you will start with some basics that work on your cardio. Anaerobic and aerobic exercises will always be involved in all sessions. There are also some drills that involve stretching and strengthening as well as mobility exercises. Don’t be intimated by the phrase “boot camp” because you will not get involved with those torturous exercises and drills that really push soldiers to the limits. You are not preparing yourself for the military so you won’t have to worry about your well-being. The boot camp activities can actually fall in the middle between ordinary fitness gyms and real military training. This means that there are still some challenges that you will face throughout your training which means that you better get your self-discipline in order. But if you stay motivated and keep remembering that this is a better way to get into shape, you should be able to handle a Minnetonka boot camp just fine. Boot camp workouts are designed to get you in better shape because all muscles, nerves and tissues will be put to work. Expect to do some successive exercises that involve a combination of step jumps, explosive push-ups, jumping jacks, crunches, running, bicycling, squats, and many others. This approach makes sure that you shed as much excess fat as you can in the shortest amount of time. This can be a tiring ordeal, but you do not do this alone in a Minnetonka boot camp. You will be training alongside others as well and that can be a great source of motivation especially if you get some friends involved. Once you get the rhythm, you may actually enjoy since there are dozens of exercises to try out and many of them do not involve any complicated equipment. Once you are finished, you should be given a nutrition booklet that you can take home so you can maintain your ideal weight. All of the trainers that are part of the Minnetonka boot camp program are highly qualified so it is pretty much a guarantee that you will see positive results as long as you stay motivated. 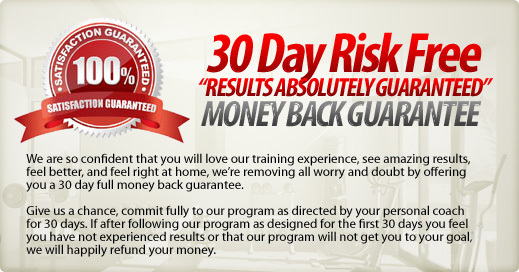 The best thing about this program is the fact that you actually pay less compared to other fitness programs.